In the market for a new INFINITI in Oklahoma City but not sure whether to lease or finance? Bob Moore INFINITI is here to help with a finance center that can compare all of your options side by side. Get started now by reading about all of the advantages and disadvantages of each option, then stop by your preferred Oklahoma City car dealership to get behind your new INFINITI today. Bob Moore INFINITI proudly serves drivers from Edmond, Oklahoma City, and the surrounding areas. Leasing a new INFINITI gives you the flexibility of a new vehicle at a lower cost than purchasing. This is because you are essentially paying the car’s depreciation over your car lease term as opposed to its full MSRP value. This is a great option for customers who are looking for a lease term that is anywhere from 24 to 48 months. Aside from the ability to upgrade every few years, you may also be able to choose a car lease plan that lets you purchase your leased vehicle at the end of the term, giving you the added flexibility of trying before buying. Ask our finance team for more details on this type of car lease option. Although car leases have its advantages, there are still some things to consider. One of the most important is your limit on mileage. All leased INFINITI vehicles have a predetermined mileage limit and wear and tear fees set in place to ensure that the vehicle is returned in resalable condition at the end of the lease term. If you are planning on returning your vehicle at the end of your lease, you can reduce these fees by keeping an eye on your mileage and taking it in for a full detail to clean up any stains that may have occurred over your car lease period. There are many advantages to owning your new luxury INFINITI. One of the main reasons is your investment in the equity of your car’s value. Purchasing an INFINITI gives you the ability to sell, trade or keep your vehicle. With this option, you won’t have to worry about mileage limits or excess wear and tear fees because it’s yours. Plus, since you are buying, you will likely be able to finance your vehicle over a longer period of time versus leasing. Some auto loans give you the ability to finance your vehicle up to 60 months or 5 years, so you can plan long term. Also, just because you purchase a new INFINITI doesn’t mean you don’t have the option to upgrade to a newer car in the future. You can always bring your vehicle in and use your trade-in value toward a newer model. Ready to buy a new INFINITI? Click here to take a look at our online showroom, then visit our INFINITI dealer in Oklahoma City for your test drive today. Although there are plenty of benefits that come with buying a new vehicle, it’s not without its disadvantages. When you finance your INFINITI you will likely be paying a higher monthly payment as opposed to leasing. This is because you will be making payments toward the full value of the car instead of just its depreciation over a period of time. Also, because you will be investing in a vehicle over a longer period of time, having less than perfect credit can play a major part in getting higher interest rates and other less favorable auto loan terms. 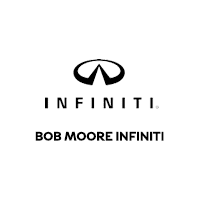 Bob Moore INFINITI is here to help you with your next purchase or lease. Visit the finance center at our Oklahoma City car dealership today to discuss all of your options. Our team of professionals is here to guide you through the entire process from start to finish. It’s one of the many reasons why more drivers in the area prefer us over the competition. Plus, we offer a shopping experience like no other regardless of whether you’re looking for a new, Certified Pre-Owned or used car, truck, or SUV. Bob Moore INFINITI is proud to be part of the Bob Moore Auto Group, proudly serving drivers from Oklahoma City, Edmond, and the surrounding areas.